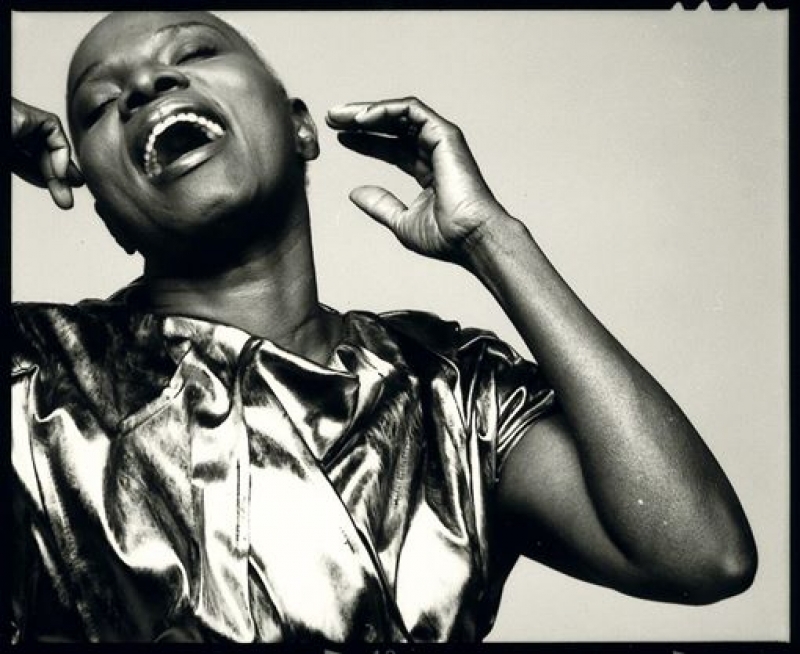 Angélique Kidjo, is a Grammy Award–winning singer-songwriter and activist from Benin, noted for her diverse musical influences and creative music videos. Time Magazine has called her "Africa's premier diva". 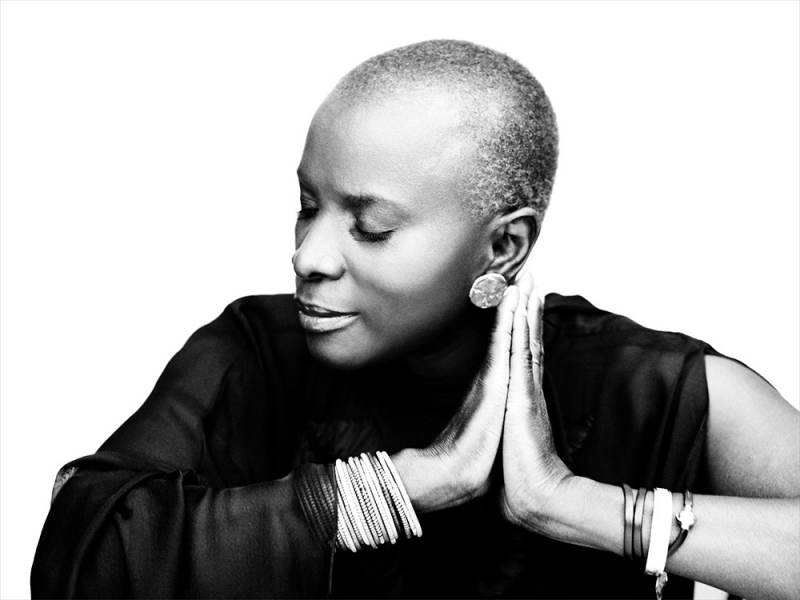 The BBC has included Kidjo in its list of the African continent's 50 most iconic figures. The Guardian has listed her as one of its Top 100 Most Inspiring Women in the World and Kidjo is the first woman to be listed among "The 40 Most Powerful Celebrities In Africa" by Forbes Magazine. The Daily Telegraph in London describes her as "The undisputed queen of African music" during the 2012 Olympic Games River of Music Festival. In March 2013, NPR, National Public Radio in America, called her "Africa's greatest living diva". Angelique is included in the "2014 Most Influential Africans" list established by the New African Magazine. On June 6, 2013, Kidjo was elected vice-president of the Confédération Internationale des Sociétés d´Auteurs et Compositeurs (CISAC). She is an occasional contributor to the New York Times. Her musical influences include the Afropop, Caribbean zouk, Congolese rumba, jazz, gospel, and Latin styles; as well as her childhood idols Bella Bellow, James Brown, Nina Simone, Aretha Franklin, Jimi Hendrix, Miriam Makeba and Carlos Santana. She has recorded George Gershwin's "Summertime", Ravel's Bolero, Jimi Hendrix's "Voodoo Child" and The Rolling Stones' "Gimme Shelter", and has collaborated with Dave Matthews and the Dave Matthews Band, Kelly Price, Alicia Keys, Branford Marsalis, Robbie Nevil, Philip Glass, Peter Gabriel, Bono, Carlos Santana, John Legend, Herbie Hancock, Josh Groban, Dr John, The Kronos Quartet and Cassandra Wilson. Kidjo's hits include the songs "Agolo", "We We", "Adouma", "Wombo Lombo", "Afirika", "Batonga", and her version of "Malaika". 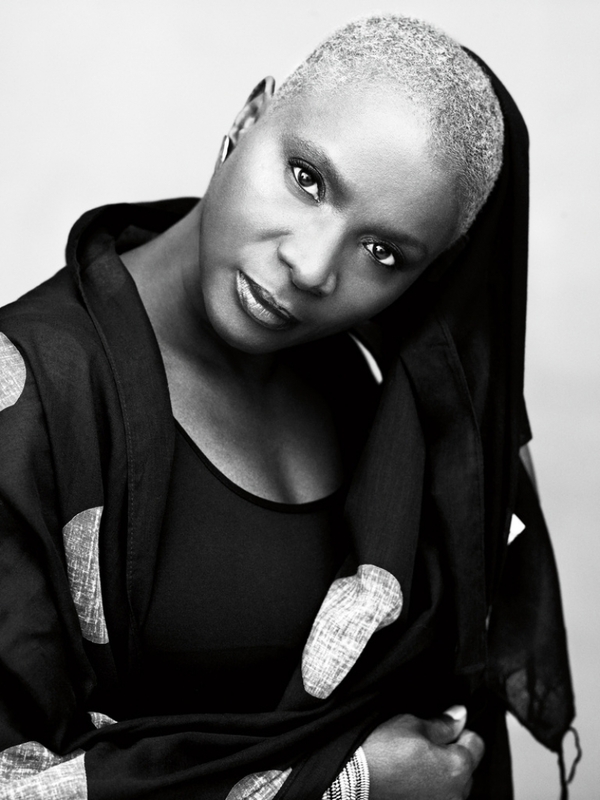 Kidjo is fluent in Fon, French, Yorùbá and English, and sings in all four languages; she also has her own personal language, which includes words that serve as song titles such as "Batonga". "Malaika" is a song sung in the Swahili language. 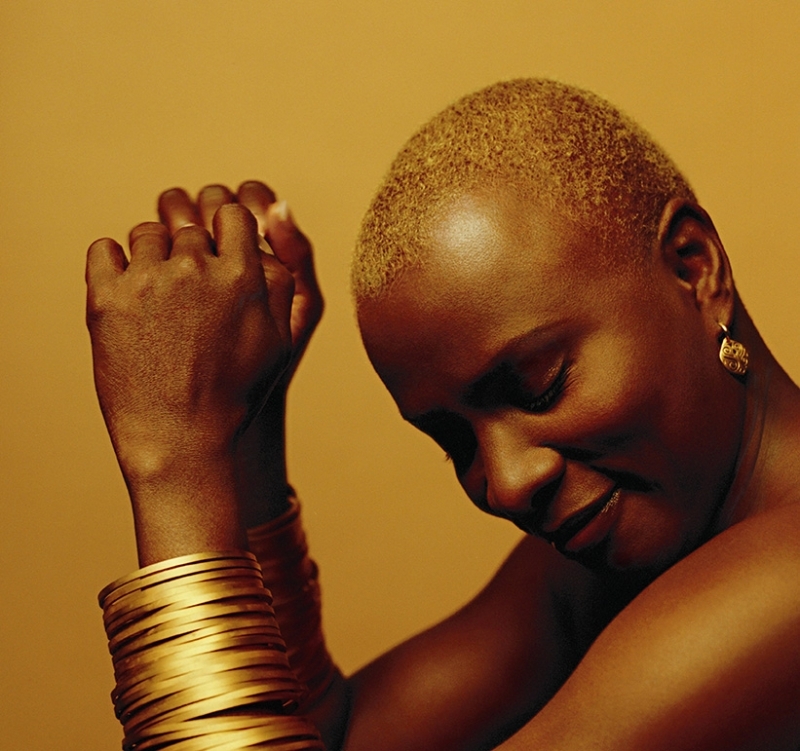 Kidjo often utilizes Benin's traditional Zilin vocal technique and jazz vocalese. She now resides in New York City, New York, United States. 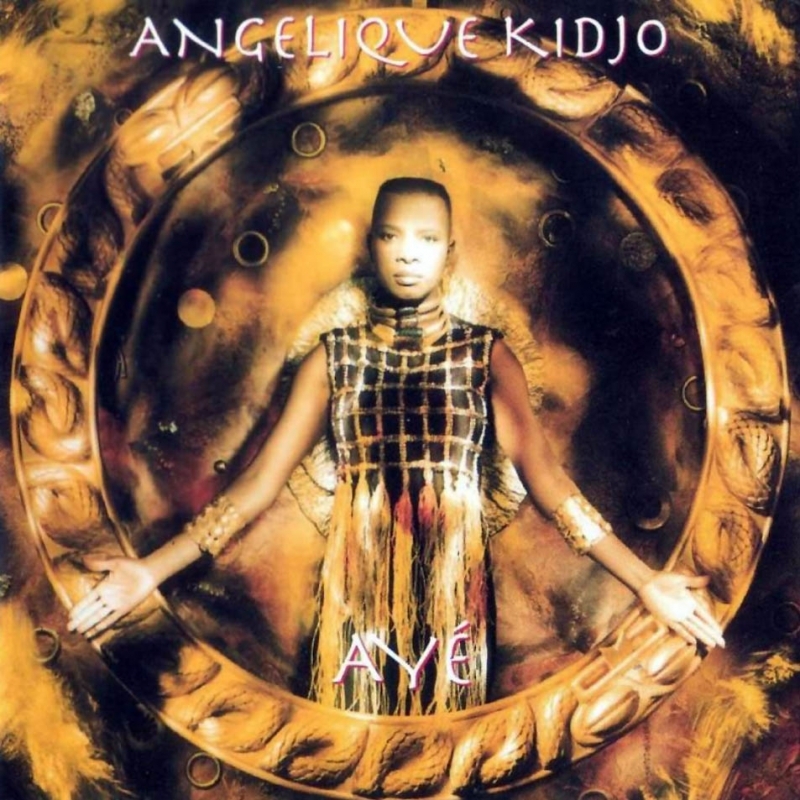 In December 2014, Angélique Kidjo was appointed by the Togolese magazine Africa Top Success for "African of the Year". The singer competes against five opponents, namely Isabel dos Santos, Lupita Nyong'o, Daphne Mashile-Nkosi, Fatou Bensouda and Koki Mutungi. 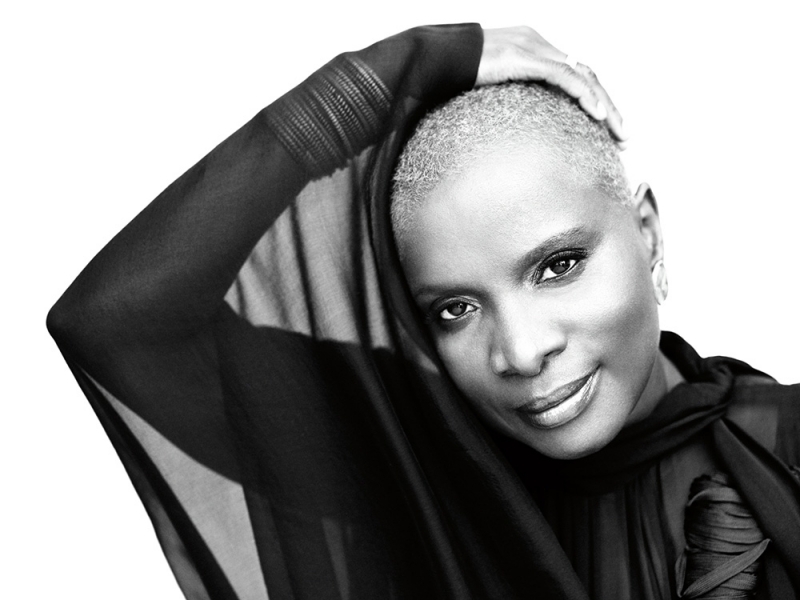 Kidjo was born in Cotonou, Benin. Her father is from the Fon people of Ouidah and her mother from the Yoruba people. She grew up listening to Beninese traditional music, Miriam Makeba, Hugh Masekela, James Brown, Manu Dibango, Fela Kuti, Otis Redding, Jimi Hendrix, Stevie Wonder, Osibisa, and Santana. By the time she was six, Kidjo was performing with her mother's theatre troupe, giving her an early appreciation for traditional music and dance. She started singing in her school band, Les Sphinx, and found success as a teenager with her adaptation of Miriam Makeba's "Les Trois Z", which played on national radio. She recorded the album Pretty with the Cameroonian producer Ekambi Brilliant and her brother Oscar. It featured the songs "Ninive", "Gbe Agossi" and a tribute to the singer Bella Bellow, one of her role models. The success of the album allowed her to tour all over West Africa. Continuing political conflicts in Benin prevented her from being an independent artist in her own country and led her to relocate to Paris in 1983. 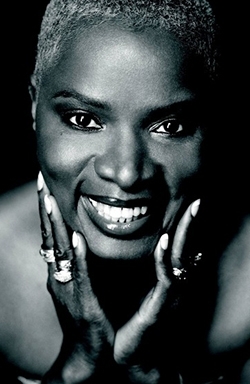 While working various day jobs to pay for her tuition, Kidjo studied music at the CIM, a reputable jazz school in Paris where she met and married musician and producer Jean Hebrail, with whom she has composed most of her music. She started out as a backup singer in local bands. In 1985, she became the frontsinger of the known Euro-African jazz/rock band Jasper van't Hof's Pili Pili. Three Pili Pili studio albums followed: Jakko (1987), Be In Two Minds (1988, produced by Marlon Klein) and Hotel Babo (1990). By the end of the 1980s, she had become one of the most popular live performers in Paris and recorded a solo album called Parakou for the Open Jazz Label. She was then discovered in Paris by Island Records founder Chris Blackwell, who signed her in 1991. She recorded four albums for Island until Blackwell's departure from the label. In 2000 she was signed in New York by Columbia Records, for which label she recorded two albums. Along with Mary Louise Cohen and John R. Phillips, Kidjo founded The Batonga Foundation, which gives girls a secondary school and higher education so that they can take the lead in changing Africa. The foundation is doing this by granting scholarships, building secondary schools, increasing enrollment, improving teaching standards, providing school supplies, supporting mentor programs, exploring alternative education models and advocating for community awareness of the value of education for girls. She campaigned for Oxfam at the 2005 Hong Kong WTO meeting, for the their Fair Trade Campaign and travelled with them in North Kenya and at the border of Darfur and Chad with a group of women leaders in 2007 and participated in the video for the In My Name Campaign with will.i.am from the Black Eyed Peas. She hosted the Mo Ibrahim Foundation's Prize for Achievement in African Leadership in Alexandria, Egypt, on November 26, 2007, and on November 15, 2008, in Dar Es Salaam, Tanzania, on November 14, 2009, and in Mauritius on November 20, 2010. She hosted the "Africa Celebrates Democracy Concert" organized by the Mo Ibrahim Foundation in Tunis on November 11, 2011, and sang at the Award Ceremony on November 12, 2011, also in Dakar on November 10, 2012, and Addis Ababa in November 2013. 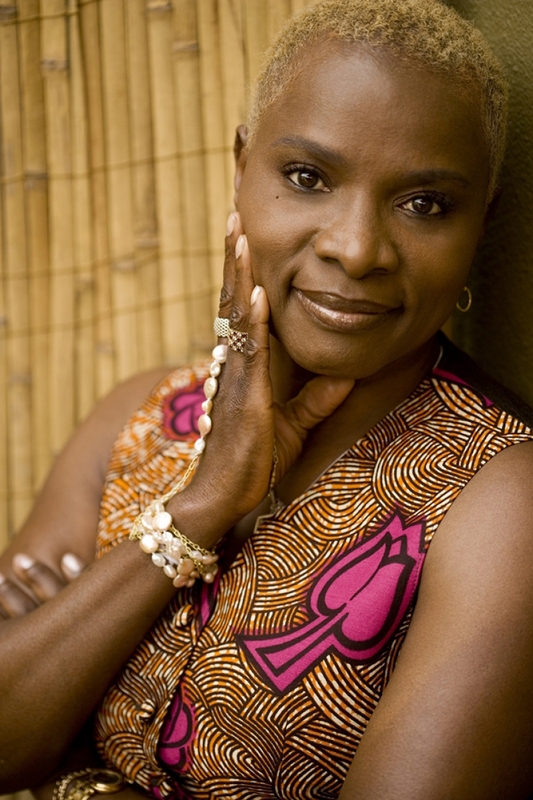 Since March 2009, Angélique Kidjo has been campaigning for "Africa for women's rights". This campaign was launched by The International Federation of Human Rights (FIDH). In June 2010, she contributed the song "Leila" to the Enough Project and Downtown Records' Raise Hope for Congo compilation. Proceeds from the compilation fund efforts to make the protection and empowerment of Congo’s women a priority, as well as inspire individuals around the world to raise their voice for peace in Congo. 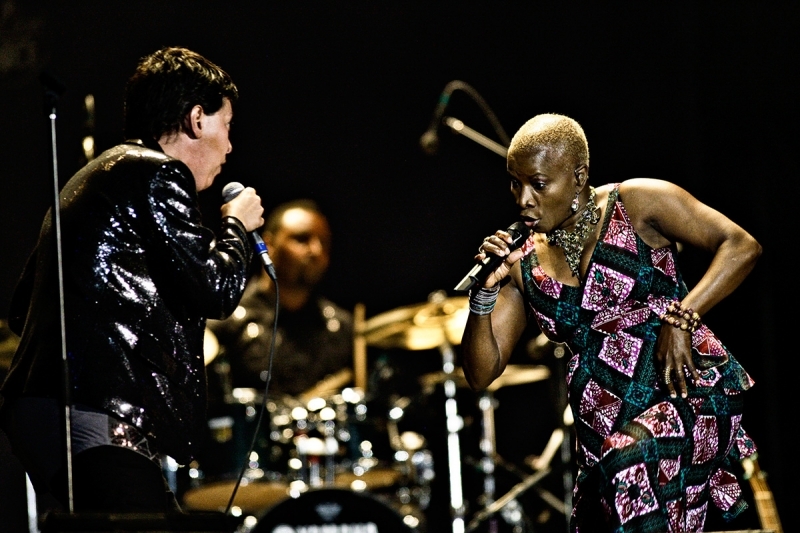 In 2011, Kidjo collaborated with Forró in the Dark and Brazilian Girls on the track "Aquele Abraço" for the Red Hot Organization's most recent charitable album Red Hot + Rio 2. The album is a follow-up to the 1996 Red Hot + Rio. Proceeds from the sales will be donated to raise awareness and money to fight AIDS/HIV and related health and social issues. 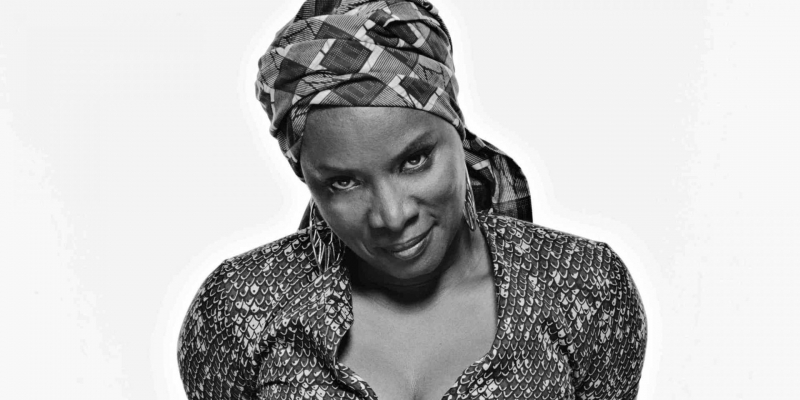 Kidjo recorded a version of Fela Kuti's Lady with Questlove and Tune-Yards for the Red Hot Organization in 2012. In September 2012, she was featured in a campaign called "30 Songs/30 Days" to support Half the Sky: Turning Oppression into Opportunity for Women Worldwide, a multi-platform media project inspired by Nicholas Kristof and Sheryl WuDunn’s book. On February 18, 2013, at the UNESCO headquarters in Paris, Kidjo was the host of a night of celebration for the cultural heritage of Mali. The event included performances by many Malian artists. On September 21, 2014, Angelique was one of the endorsees of the People's Climate March. She joined the march in New York along with Mary Robinson and was interviewed by Amy Goodman for Democracy Now. November 2014 saw Kidjo collaborating with many other artists in Band Aid 30, the 30th anniversary version of the 80s supergroup. Angélique's music has been remixed by famous producers including Norman Cook ("We We") and Tricky ("Agolo"). Several of her singles have reached the Billboard Dance/Club Play chart. In 1996, Junior Vasquez remixes of her song "Wombo Lombo" brought the song to Number 16. In 2002, King Britt remixes of her single "Tumba" helped the song reach Number 26. "Agolo" was remixed by Mark Kinchen, "Shango" was remixed by Junior Vasquez, and "Conga Habanera" was remixed by Jez Colin. "Salala" from, Djin Djin, was remixed in 2007 by Junior Vasquez and Radioactive Sandwich. "Move On Up" was remixed by Radioclit, the team from The Very Best. Pray the Devil Back To Hell which won the prize for Best Documentary at the 2008 Tribeca Film Festival. Le Code A Changé by Danielle Thompson / Kidjo is featured singing in the movie. CBS Early Show in 2007. She has been interviewed by Sir David Frost for Al Jazeera in 2008 and Christine Amanpour for CNN in 2009, 2012 and 2014 She was the host of Tavis Smiley on PBS in March 2010 and February 2014  and Late Night with Jimmy Fallon in July 2010. Grammy nominations include the Best Music Video of 1995 and Best World Music Album in 1999, 2003, 2005, 2010, 2014 and 2007, which she won.